The earliest reference to Heatherslaw Mill dates back to 1306 and suggests that a mill had stood on this site at least from the 13th Century. Since that time, it is believed that the mill ground corn largely uninterrupted for at least 700 years and is likely to have provided flour or meal to both English and Scottish armies during September 1513. The mill as we see it today is a relatively new building constructed during the 1830s and is part of an industrial complex that included an iron forge on the north side of the river where the railway station now stands. There has been a working watermill on this site since before 1300. The earliest records are of Nicholas Graham’s widow holding a watermill here in 1307 worth £4 a year. From 1376 the Mill was owned by the Ford estate, but no mention is then made of it until the mid 18th century. These years were difficult ones for the Border country, with frequent skirmishes between Scottish and English Reivers, but the mill seems to have survived intact. 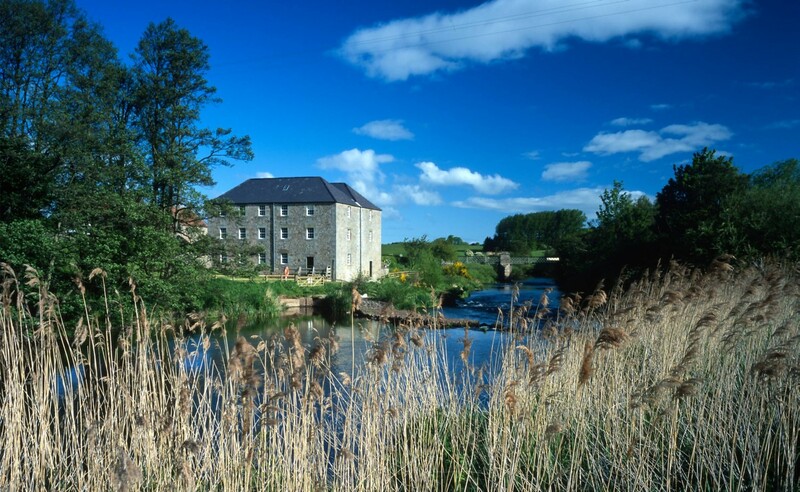 In 1768, the Mill was rebuilt as a ‘double mill’ with two mills under one roof. This time was a great period of prosperity for North Northumberland, with new strains of wheat and oats producing an enormous increase in yields. A new Forge Mill was also built on the other side of the Till to make spades and farming tools. By the early 1800s, seven water wheels were in action, with thirty houses along the river banks. 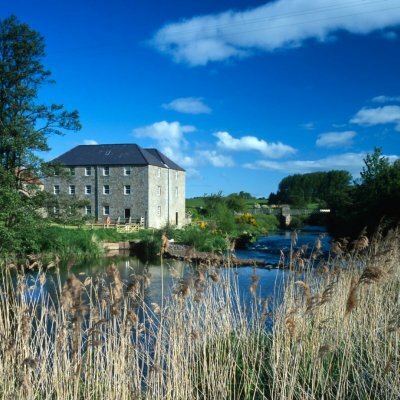 In around 1830 the Mill was enlarged to its present form, with three storeys and two mills placed side by side, each with its own water wheel and mill race. The mills served a large area, including local farm labourers who received all or part of their wages in the form of corn. After the 1880s the business steadily dwindled as rural areas became depopulated. By 1909 the Forge Mill was unused, and in 1949 the main mills at Heatherslaw had stopped grinding pearl barley. Soon the mill closed completely. The Mill rapidly became derelict with flood water washing in silt that choked the mill races and the interior. It seemed destined for demolition. During the 1960s there was a growing interest in preserving the country’s industrial heritage and in 1972 Mr Eric Griffiths formed the Heatherslaw Mill Charitable Trust to restore the mill and create a working museum. The silt and debris were dug out by hand, the millstones and water wheel renovated and the gearwheels and shafts repaired. It opened to the public in May 1975. Toilets, shop, tearoom and visitor centre on site. Limited disabled access due to nature of the building. (Visitor Centre fully accessible). Free car parking beside Mill and in car park over the footbridge. From Berwick - take the B6354 south west for 8 miles, passing through Duddo and Etal. Continue south for a further 0.75 miles until you see signs for the mill and railway. From Wooler - head north on the A697 for 6.5miles through Milfield Village and take the right turn onto the B6354, signed to Ford & Etal. Follow signs for Etal. Heatherslaw is well marked off this road, just south of Etal.